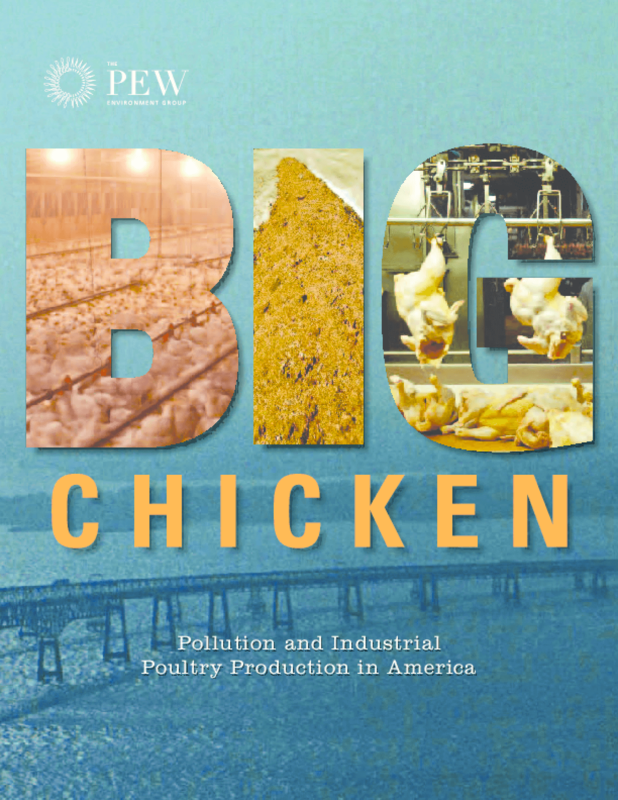 Describes how the consolidation of the poultry industry raises concerns about treatment and disposal of waste, especially in the Chesapeake Bay area. Policy recommendations include caps on animal density and shared responsibility for waste management. Copyright 2011 Pew Environment Group.